The boys from Baf Graphics are doing terrific work applying the main exhibition title to our latest project in Westminster Hall today. 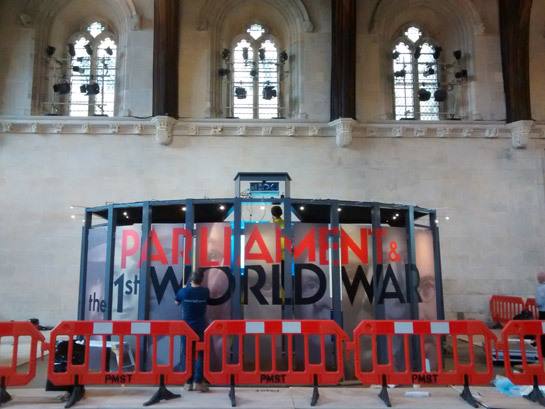 The exhibition explores the impact the first world war had on Parliament, democracy and the lives of ordinary people. It runs from 3rd July to 28th September 2017.